JEXPO 2019 Admit Card will be released in the month of April 2019. JEXPO is a joint entrance examination for polytechnic courses. 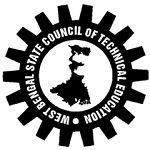 It is organized by the West Bengal State Council of Technical Education. It is a state level entrance exam which is also known as WB Polytechnic. It is conducted for the candidates seeking admission in various diploma courses in the field of Engineering, Technology & others in West Bengal state. Through this exam, candidates can get admission in the government/private aided polytechnic institutions of the state. From this article, candidates can access the complete information of the JEXPO admit card 2019 including important instructions for exam. JEXPO Admit Card 2019 can be accessed through the online mode only. To download the WB Polytechnic Admit Card, candidates have to select the exam and enter the required details. It is not be sent to the candidates by post. Candidates are also instructed to keep their admit card safe for the day of exam and also till the admission procedure. It is suggested to the candidates to check the details mentioned on the admit card carefully, in case of any discrepancy immediately contact to the officials. Without valid admit card no candidate will be permitted to enter in the examination hall. There will be various details mentioned in it such as name of the candidate, address, exam venue, date & time of the exam & other exam related instructions. Candidates those successfully submitted the application form will be allowed to download their admit card. Candidates can get their JEXPO admit card 2019 in the month of April 2019. It can be downloaded from the website. The examination will be conducted on 30th May 2019. The JEXPO Result will be published on 3rd June 2019. The authority shall organize the JEXPO counselling in the month of June 2019. Visit the official website link. A new page will be displayed on the screen. Click on the admit card tab. Fill your form number/enrollment number in a given space. Then, click on “Download Admit” button. Download & print the admit card. Candidates are advised to take at least 2-3 printout of it and keep it safe till further process. Do not carry any study material or electronic gadget along with admit card in the examination hall. Don’t forget to take one photo Id proof along with the downloaded admit card. Passport, Bank Passbook which contain the photograph or any other photo identiy card issued by the Competent Government Authority to prove their identity. Reach your examination hall before one or two hours of the commencement of the exam. Bring the valid identity proof on the day of the exam. In case the identity proof found to be incorrect, then your candidature will be cancelled. Familiarize yourself with the exam centre before one week of exam. If you have any query of JEXPO 2019 Admit Card, you can ask us by leaving your queries in the below comment box. No date is announced yet. From which website I can get the JEXPO admit card? The admit card for JEXPO will be available soon. the admit card is not available. Kab announced hoga jexpo admit card????? The admit card is postponed. Please announce the date of the admit card’s release. Jo exam 29 april ko hai uska admit card kab load hoga. How I’ll my jexpo admit card . JEXPO 2018 Admit Card is releasing on 2nd April 2018. Link will be provided here. But sir where is the link? Read the article again. we have given the information. From where we can download the admit card of Jexpo / Voclet 2018. The admit card will be given in this article but for some technical reason its releasing date is postponed. Stay tuned with us. Please inform by mail or SMS because we unable to access site to download the Admit card. The admit card is being delayed. date postponed and not announced. I applied for it through offline .So how I will get the admit? resceduale,date is after 29th aprli or before 29th april? Today is 3rd april.but i donnot download my admit card when the link provide?is the date of exam will not on 29th april? It is not released yet due to some technical issue. Jexpo’s admitcard when will be relese . WHEN JEXP0’S ADMIT CARD WILL BE RELESE ? When the admit card realease date ??? Please, Sand me a link my ID for admit card download. Due to some technical issues, the JEXPO 2018 admit card will not be available on the scheduled time. Then when we’ll get the admit ? The date will be released soon. When we were able to download the admit card of jexpo 2018..???? So, Please tell us How many days later Admit card will releasing ????? The admit card is delayed, due to technical issues. Admit card is not download why …..
Jexpo admit card available date?? Can you know which date is Published link ? yes, the admit card is delayed, due to technical issues. Please inform the exact time of publish of link???? link will be released today. Due to some technical reason, the admit card has been delayed today. It will be released soon. How long will it realished? It will take few days. I had filled up the form through Offline. How can I download admit card? The admit card will be available through online mode. link will be released today. Given in this page. The admit card has been delayed due to some technical reason. Now, it may be released after some days. Hello when available Jexpo admit card …I don’t see any link here now …. Admit card is delay for today. You will get admit card after some days. When the admit card will be released? How I get admit card? The link for admit card download will be available today on same page above. How to downlode jexpo admit card????? you can download by using your application no. and password. Can I download this in offline mode,??? It will be released shortly. When we will be able to download the admit card? when will i get the admit card today? When release jexpo admit card???? I applied for it through offline, So how i will get the Admit card? Can i get jexpo 2018 admit card tomorrow? Admit published date are shown e.g 2nd April 2018.but can a candidate download it after that day.if he can then which is the final date of admit publication on your website? can get later but before the day of exam. What details is needed to download admit ??? Candidates have to select the exam and enter the required details. No other way to go through it now. Sir, I am a 10th student appearing for ICSE this year. I just wanted to ask that how would I know if my offline form was accepted or not. Thank you in advance. After 12th commerce can I apply for jexpo? Where to deposit my Jexpo 2018 exam fees ? The application fee shall be submitted via online mode at the time of submitting the application at the designated centre. you can apply through online mode.